1) PLEASE READ THE COURSE DETAILS, SCHEDULE AND SKILLS FUTURE PROCEDURE IN ADVANCE. 3) The course fee does not include fabric, sewing accessories, materials and overlock stitches services cost. 4) Equipment, basic Tools and refreshment-snacks provided. 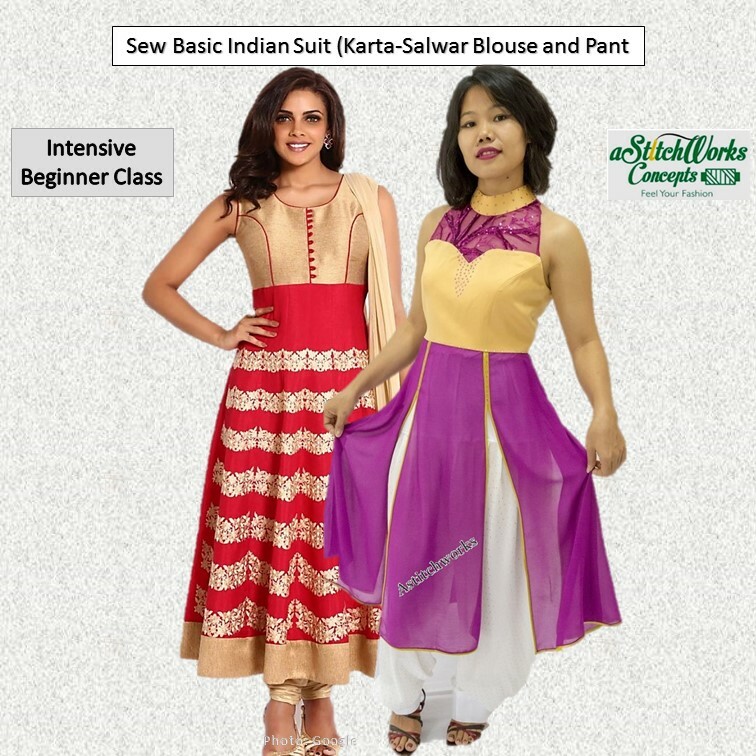 A traditional course is to develop learners basic drafting through pattern making and to sharpen learners’ sewing skills to the professional standard. 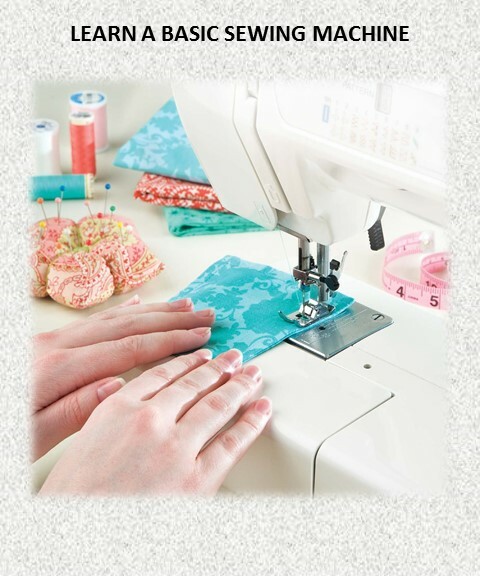 This practical sewing course will help you with the basics familiar of sewing machine to build your confidence with an industrial standard and develop a range of related sewing skills. Learners will focus on how to make lightweight garments for traditional women wearing that looking at the techniques used in top-quality ready-to-wear pieces. This traditional sewing course provides basic skills in pattern drafting and operational sewing processes. The drafting involved technical methods in the construction of various kinds of top and bottom. It also covers sewing techniques and hands-on sewing operations. Learners will gain the knowledge in selecting fabrics, pattern layout and cutting and basic sewing techniques. Additional topics may include the pressing of sewn garments, standard types of sewing machines and seam styles as well as final sewing of a finished piece. 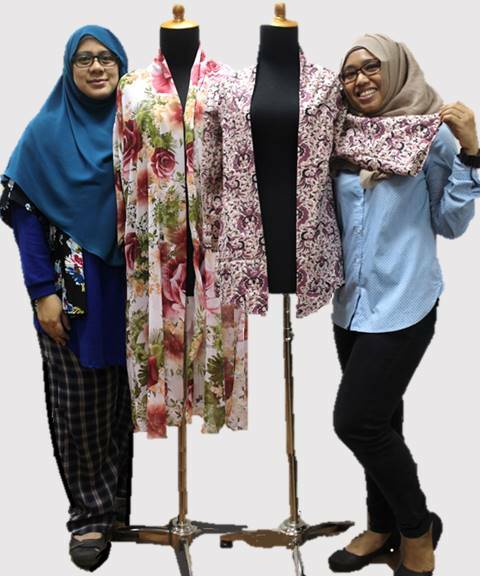 Sew complete kurung and kebaya with set-in sleeve and sarong (skirt). Taking the correct measurement on bodice and sample. Conversion basic pattern to the actual pattern block according to the size bodice. Interpret drafting of neckline based on given size specification using manipulation methods. Layout pattern on grain lines fabric, apply seam and marking. Use bias tape binding, hand finishing, invisible zippers, pocket, interfacings, elastics, casings and stitching finishes. Techniques in using the sewing machine and function operation, footers, lockstitch, and overlock. Build in fabric retraction and shrinkage into a garment. 1) Candidates are advised to read the Terms and Condition before register. 2) Please be cooperate and follow the instruction given by our trainer to accomplish in learning to avoid the disruptive issues and time-consuming problems. Astitchworks believes the Better Ways is to share the knowledge and skills sincerely and treat all students fairly with positive benefits and good relationships with trainers and students. And, herewith are guidelines of our Learning how Astitchworks runs the sewing program. Semi-Private Class offers a small classroom environment with a comprehensive lesson in teaching such as demonstration, mentoring, tips, practical sewing sessions and pattern-making assignment. The class will be conducted on the confirmation schedule, please check with our Administrator for the schedule. The class to be completed within 3 months from the class start. You need to sign as the free member first. Once it accepted, you log in your account with your email and password. Then you go to programme (sewing courses) https://www.astitch-works.com/programmes-main.php?u= and select the course you wish to learn. Once you attached your payment evidence, please inform us by WhatsApp at 91857267 for approve. If it approved by us, you need to key the code given thru your email before you can start book your schedule online. 1) We will inform our bank account or Pay Now upon your true details given is not fraud. To transfer to a particular payee, you will need to have him/her in your list of recipients. Click here to learn how to add a funds transfer recipient. 1) Log in to iBanking with your User ID and PIN. 2) Select Transfer and click Add New DBS or POSB Recipient. 3) Log in with your 6-Digit iB Secure PIN. 4) Indicate the Recipient name and Account number. 7) Verify the Details of the Transaction and follow the 2-Factor Authentication Instructions. 1) Select Transfer and click Other DBS or POSB Account. 2) Log in with your 6-Digit IB Secure PIN. 3) Choose the Recipient you wish to transfer your money to. 4) Select the Account you wish to transfer from. 5) Select the Currency and indicate the Amount you wish to transfer. 8) Submit the evidence of transaction for verification. 9) Once its approved, you will get your notification shortly. If we did not reply on the same day, please inform us immediate. Please double check and confirm your schedule with our Admin in advance before the class start. Use a mobile number to make payment securely and almost instantly after you have set up the PayNow service. Registered yourself as Member is FREE at Astitchworks online. Verify that the recipient’s name (as registered on PayNow) is correct before confirming the transfer. Submit the evidence of transaction for verification. Once it’s approved, you will get your notification shortly. If we did not reply on the same day, please inform us immediately. Please notify your bank of the change in mobile number. Your previous number will be de-linked from your bank account. You can then link your new mobile number to your bank account. 1. 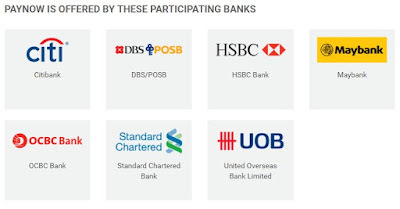 Which are the PayNow participating banks in Singapore? 2. Are there any fees associated with using PayNow? There are no fees associated with using PayNow, as of July 2017. 3. How can I ensure that the person I am transferring funds to is the correct person? Prior to performing a PayNow transfer, you should check whether the PayNow Proxy you are sending funds to belongs to your intended payee. 4. During the PayNow transfer process, once you enter the PayNow Proxy that you wish to pay, a lookup will be performed and the PayNow Nickname associated with the Proxy will be displayed. You should check whether the displayed Nickname belongs to the person to whom you are transferring funds. 1.1 Registration can make online at www.astitch-works.com or come personally at 20, Joo Chiat Road #02-08 Singapore 427357; with a full payment requested before the start of the class. 1.2 Strictly no allow participants to register using other participants’ name as a conflict of interest or for other purposes that against Singapore law. 1.3 Participants are to fill the true information in the application form. NRIC/FIN/Others card required for photocopy for our records. 1.4 Participants shall not share your Account with or assign or transfer it or any right under it to a third party. Participants shall not sub-contract or delegate any duty or obligation in respect of your Account, except as provided in Section 1.7. 1.5 Astitchworks is not responsible for any failure or delay in the transmission of any email or the transmission of any information or documentation via our site, howsoever arising. 1.6 Regardless of any reasons, if the participant subsequently cancels or postpones or discontinues the confirmed registration, it will be charged 10% for the penalty (including administration and certificate fees). No refund can be claimed upon the full payment has been made. 1.7 Astitchworks reserves the right to disclose participants’ information for publicity and/or statistical studies unless such rights are revoked in writing by the participants. 1.8 Our Main Duty line +65 91857267 operations on Tuesday to Saturday, 11 am to 5 pm. This number is used as WhatsApp’s almost all times during our office peak hours. Closed on every Monday, Sunday and Public Holiday. 1.9 Training classes and preview sessions are flexible schedule base on the first book first serve and required to book through online within 3 days in advance. 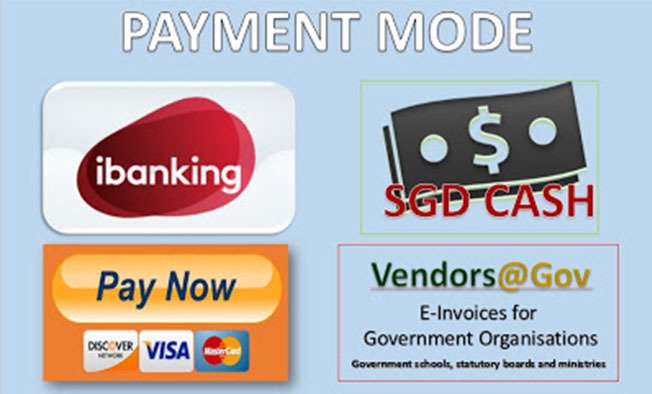 2.1 Payment can be made online by Pay Now through your mobile via Astitchworks number or bank transfers after your registration is successful. We will inform our bank account or Pay Now upon your true details given is not fraud. 2.2 All payments include cash or crossed cheques (to Astitchworks Concepts with full name and course title) to pay one week in advance before class resume. 2.3 Only Astitchworks vouchers/discounts coupons can claim upon valid date and must be informed Astitchworks in advance before the payment process. Delayed claims will be disqualified. 2.4 Participants will receive advance an acknowledgment transaction as a reference for any subsequent communication with Astitchworks during the payment process. 2.5 In the case of bank transfer, the proof of slip payments is required during the payment process by the participants for Astitchworks’ approval. 2.6 If the relevant bank does not clear any payment, participants will get an unsuccessful message from the relevant bank’s website. 2.7 Invoices will only be emailed to participants once the payment processed successful and approval by the relevant bank via Astitchworks accepted. Participants will be qualified as Astitchworks students. 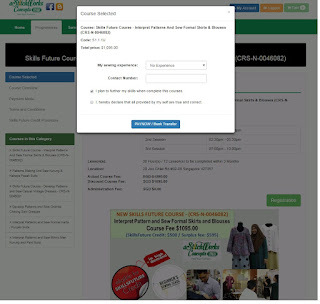 2.8 Upon payment successfully, Individual students can book their schedule through our existing slot available. Group and Workshop learning students do not need to book as set by Astitchworks. 3.1 Astitchworks Concepts followed school system and punctuality is required. Late coming or unable to attend the class must be informed immediately/at least 1 hour before the class begins. 3.2 Astitchworks Concepts reserve the right to remove or reject any reasons if unaccepted accordingly to school standard practices and procedures. All courses and availability of fees are subject to change. 3.3 All students must follow the syllabus and be subject to the notes given. Any Astitchworks course or syllabus is subject to change based on class requirements or student learning speed with permission approval. 3.4 Students must complete their assignments and sewing projects on the date scheduled before allowing to learn the next project. Allows venturing the designs as many students want without obligation, but; it must base on their courses subject they registered and priority must complete each project first. 3.5 Students need to purchase their own material/sewing accessories or other services that are not included in our courses fees at our shop or outside. An extra charge is applying for any additional lesson or hour is required if the teaching period is excessive. 3.6 Students must bring their materials, accessories, and notes during the lesson (if). Astitchworks provided tools and equipment during the class period. 3.7 Astitchworks Concepts reserve the right to cancel or postpone any lessons or schedule at short notice without assigning any reasons. No refund can be claimed if students wish to withdrawal or terminate fail to cooperate. 3.8 Astitchworks Concepts reserve the right to cancel or postpone any sewing programs due to low numbers. No refund can be claimed if students wish to withdrawal or terminate fail to cooperate. 3.9 Strictly no replacement lessons for the missed lesson for Group Learning, Workshops, and Promotion classes, however; Astitchworks will consider it students can provide a valid evidence document to claim one (1) hour to cover the missed lesson. 3.10 For individual learning only: A medical certificate or evidence documents are required for replacement lessons. Only 3 times is allowing to change their schedule in case of emergency with the submission of the proof document. 3.11 Any absent not compile on clause 3.5 and 3.6, Astitchworks Concepts will take it as a present and counted. No transfer to another person (direct or non-direct). 4.1 Students requesting for cancellations after the courses validation must submit in writing 2 weeks before the lesson start and no refund can be claimed late submission. 4.2 Regardless of any reasons, if students subsequently late payment will be levied 10% as a penalty (calculate is based on the amount of full payment). 4.3 Administration charge fee of 10% for cancellation within 2 weeks from registration date or after the class started. *No refund can be claimed. 4.4 *Withdrawal/Cancellation of the courses with No REFUND or EXCHANGE at all after 2 weeks class started. 4.5 Strictly no refund unless **all the details and reason requested from students in writing are acceptable by Astitchworks Management agreed. **The refund returns as goodwill and take 2-3 weeks via crossed cheque. 5.1 Punctuality attendance is compulsory. Late arrivals or sick or unable to attend the class must be notified via WhatsApp’s +65 9185 7267 immediately. 5.2 Attendance must achieve 85% and complete all assignment successfully to award Statement of Attainment (SOA certificate). 5.3 Astitchworks reserves the right to hold SOA if students failed to do so. Certificate fee will be forfeit. 5.3 All certificate will be sent 2 weeks from the date completion of the last lesson through student’s email. Kindly informed Astitchworks if students change new email in advance or before the last date of the lesson to be complete. 5.4 A certificate will not be shown after 2 weeks from date of notification. Re-issue certificate will be a charge of $50.00 if required. 5.5 Testimonial may apply and charge of $150.00 is requested. 5.6 All payment must be paid through bank transfer POSB / Pay Now before Astitchworks proceed with the request. We will inform our bank account or Pay Now upon your true details given is not fraud. 5.7 (if) Any collection of certificates by third parties or other persons, must produce students’ original NRIC as evidence. 6.1 All sewing tools and equipment must take care by students in proper precautions while using them. Follow proper procedures for using all sewing equipment. 6.2 Any return of Astitchworks Concepts properties or belonging must be in a good condition and in order always. 6.3 Make sure students are to use the proper items/accessories while sewing and switch off the electrical after using the sewing machines and to cover back for safety. 6.4 Respect the rights and property of other students in the class. No food or drink allowed at cutting and sewing areas. 6.5 Must upkeep the cleanliness and hygiene of class always after used. 6.6 Failure to do so will result in disciplinary action and/or loss of the privilege to use classroom equipment. 7.1 Astitchworks Concepts reserves the right to prohibit entry to any students to sewing program, or eject any students from sewing program based on behaviors deemed inappropriate by Astitchworks Concepts staff and/or its agents and others working under its authority. 7.2 students are bound by Astitchworks confidentially policy. Any information that was received during Astitchworks program or courses, such as pattern making, drafting must not be discord to any party including such information and conversation must also be deleted from all your personal device. Please keep in mind that you are bound by our confidential policy. Any information that was received during our course, like pattern making, drafting must not be discord to any party including such information and conversation must also be deleted from all your personal device. 7.3 Astitchworks Concepts has the right to authorise and promote the artistic works include patents, copyright, industrial design rights, trademarks, trade dress, and in some jurisdictions trade secrets. 7.4 No authorization is allowing to issue or use under Astitchworks name, logo and details without Astitchworks Concepts consent. 7.5 Astitchworks Concepts reserves the right to protect its Staff against any harassments, violation and mistreat by students. Action will be taken. Astitchworks Concepts is always looking to improve our program/courses and welcomes feedback. If you would like to provide feedback or file a complaint regarding our staff services, please email to enquiry@astitch-works.com. Grievances are taken very seriously and will be addressed in 5-7 days and thoughtful manner. For case-specific feedback and appeals where we need time to conduct further checks and investigation, we seek for your patience and understanding if we take longer to respond. Thank you. Sign Up as Free Member at our site https://www.astitch-works.com/. - Ibanking (Electronic Bank Transfer) with your name (in NRIC). We will inform our bank account or Pay Now upon your true details given is not fraud. 1) If you wish to cancel your claim, you must appeal at the SkillsFuture site and kindly inform us on your claimable cancellation. 2) If your claim rejected from SSG, you will have to pay the full amount to us before the class start or we consider it canceled. 3) Any delay the payment from you, a legal action will be taken. 4) Any problem issue, please liaise with our Admin staff.